A US court has found Syrian president Bashar Al-Assad’s regime liable for the killing of Sunday Times journalist Marie Colvin in what the judge said was an “unconscionable act”. War correspondent Colvin was reporting on the Assad government’s bombing of residential areas in the city of Homs in 2012 when she was killed in a rocket attack on a media centre. Her sister Cathleen Colvin filed a wrongful death suit through the Center for Justice and Accountability in 2016, which last night culminated in a judge awarding the family $302m in total monetary damages. Cathleen said: “It’s been almost seven years since my sister was killed by the Assad Regime and not a day goes by when I don’t think of her. “My heart goes out to the families of the many thousands of victims of the Syrian conflict. It is my greatest hope that the court’s ruling today will lead to other criminal prosecutions and serve as a deterrent against future attacks on the press and on civilians. Judge Amy Berman Jackson of the US District Court for the District of Columbia ruled that Colvin was deliberately targeted in an artillery strike after senior Syrian officials tracked her whereabouts using informants and intercepted satellite calls. 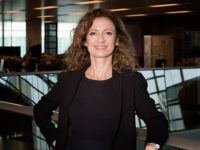 Colvin was tracked when she transmitted live broadcasts for the BBC, CNN and Channel 4 just hours before her death. The timing of the attack, which took place the morning after Colvin’s broadcasts, “reinforces the conclusion that this was a ‘deliberated’ killing,” the judge said. The attack also killed French photographer Remi Ochlik and injured British photographer Paul Conroy, who had been working with Colvin, French reporter Edith Bouvier, and Syrian translator Wael al-Omar. Judge Jackson found that reports of Syria’s “long-standing policy of violence towards media activists” also provided evidence of the “deliberated” nature of the attack. “Media personnel were often targets and labelled enemies of the state and terrorists,” the ruling said. 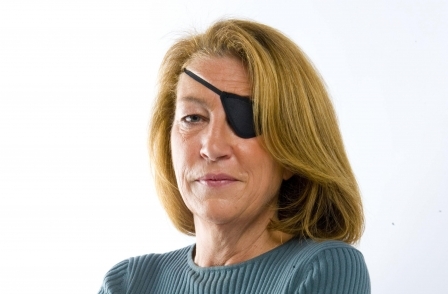 In awarding damages to Colvin’s family, the judge said: “While $150m is the typical award per decedent, the court must also consider the fact that Marie Colvin was a journalist who was killed by the Syrian government while reporting on the atrocities occurring during civil war. of silencing those reporting on the growing opposition movement in the country. 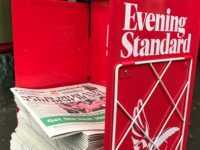 A direct attack on the media centre showed Syria “intended to intimidate journalists, inhibit newsgathering and the dissemination of information, and suppress dissent”. “A targeted murder of an American citizen, whose courageous work was not only important but vital to our understanding of warzones and of wars generally, is outrageous, and therefore a punitive damages award that multiplies the impact on the responsible state is warranted. The judge awarded $300m in punitive damages, $2.5m in compensation to Cathleen, and $11,836 in funeral expenses. Lead counsel Scott Gilmore said: “This case is a legal rejoinder to the war on truth waged by strongman leaders like Bashar al-Assad. Rebecca Vincent, UK bureau director for Reporters Without Borders, described the ruling as an “excellent step towards accountability” for Colvin’s murder. The full court judgment can be read here. I am sorry that she died and glad about the award. I am puzzled by the two comments posted. Are these people journalists and, if so, is this how modern journalists punctuate? Given the American states view of Syria and it’s track record one should look deeper. There are alternative views of M Colvins reporting and death, Global Research has a number. The article should be more impartial.